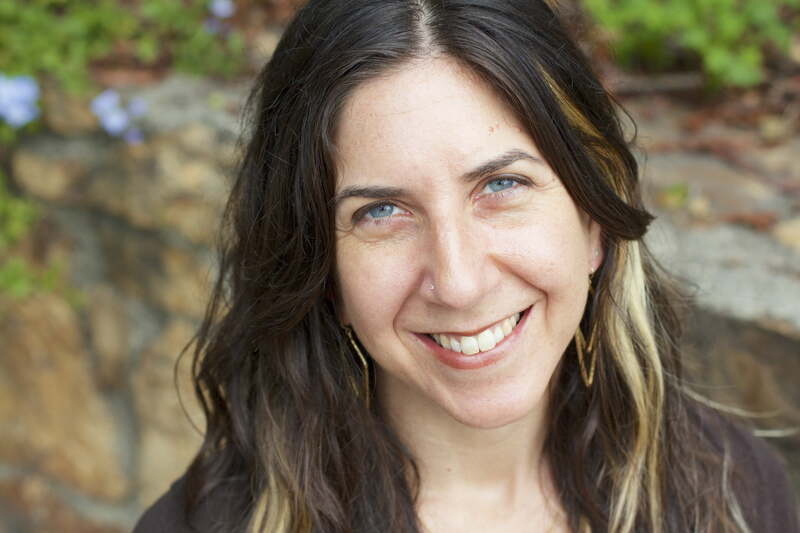 Guest post by Julie Wolk. Networking gets a bad rap. Especially if you’re not naturally inclined toward floating around events chatting with everyone, even the thought of a networking event might exhaust you or make you cringe. Our lives and our businesses are made up of and totally dependent on the networks that we are a part of and create. And, networking can be deeply meaningful and beneficial to ourselves and to everyone we touch. So let’s look at networking from a different perspective . . .
Take a few steps back and imagine the system you and your business are a part of. Think of it as an ecological habitat with many different points or hub . . . fruit trees, small mammals, edible plants, pollinators, soil microbes, all exchanging food, oxygen, minerals, water, pollen . . . They are all in relationship with one another. Your business is like one of these hubs. And likewise, in your business web of life you relate and connect with other hubs (people, businesses, organizations), and you also exchange things, learn things, buy things, consume things, and you offer other things back out to other hubs. You also hire people, collaborate with people, refer clients to people, and vice versa. In all of these relationships, there is an exchange of energy that can benefit both people, however some of these relationships are particularly mutually beneficial. In ecology, this is called mutualistic symbiosis: a close, long-term interaction between two different species where both species benefit. 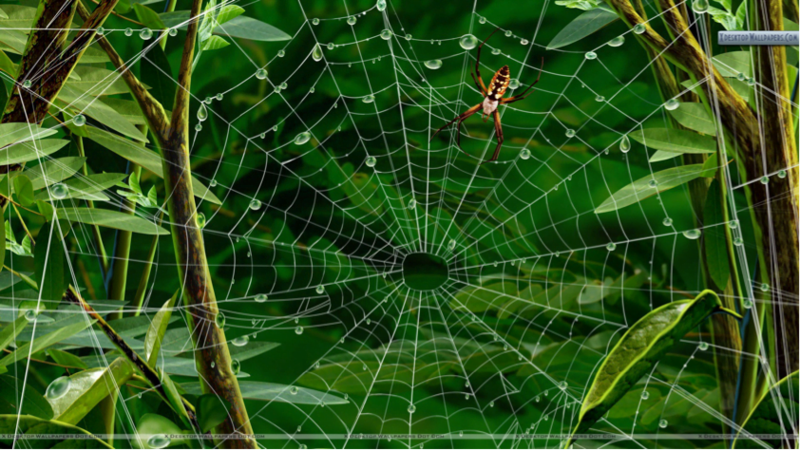 Just like an ecosystem, your business thrives in a diverse web of interrelated beings helping each other out. And the more each hub is playing its right role (or filling its niche), helping some people and calling on help from others, the more smoothly the system works. Community at its best! In fact, each person or organization in your business web of life has a specific role, or a niche, just like each animal or plant in the ecological system has its role (the word niche comes from the ecological sciences). Hopefully you have clarity or are moving toward clarity on your business’ niche (read my blog post here about niching or for a more in-depth exploration check out Tad Hargrave’s Niching Spiral). 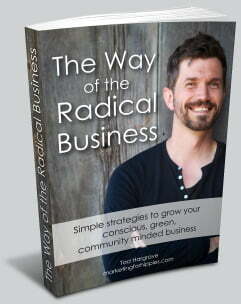 As Tad says, your niche is your role in the community, the gift that you offer to your people. How can we help each other create a stronger, trustful, more intimately woven web for the mutual benefit of all? And how can we go beyond traditional networking to what the Interaction Institute for Social Change calls “network building,” where we actually connect other people in our network to generate even more good, like a spider weaving its web. So how do we do this on a practical level? How do we deepen and strengthen our business’ web through meaningful networking? First, you do NOT have to go to networking events (unless you want to). The strategy outlined here is a one-on-one networking strategy, and requires a phone and perhaps a coffee shop. This is a simple marketing strategy aimed at building a genuine referral network (and seeding other potential collaborations) that I have all my clients do, especially if they are just starting out, adding a new service, or reinventing their business (which is pretty much everyone). It’s probably the most simple, old-school marketing method out there, but it’s worth explaining because in this digital age, we actually forget the power of picking up the phone and having one-on-one conversations, let alone face-to-face meetings. It can also be done before you even have a website, and it will generate new opportunities faster than most other marketing methods. Make a list of 20 people that you could help and that could help you. List the people you already know first, but it’s also great to create a new hub in your web by reaching out to people you don’t yet know! Try to think of people for whom there is a clear mutual benefit. The most obvious example is someone who could refer people they know to you and you to them. For example, I have made intentional connections with life and career coaches so that if a client comes to me for help who’s not quite ready to start a business, I have people I can send them to help them figure out their next steps. On the flipside, these coaches know that if a client decides in the course of coaching that they want to start a business, they can send that person over to me. Other mutually beneficial relationships might include people you could co-sponsor an event or program with, package up your work with, co-teach with, market each others programs, or collaborate in some other way that sounds fun to you. Once you have this list, use your own version of the short script below to guide you in your first calls (it will become more natural the more you do it). Again, you need to be uber clear on your offering and audience so that the person you’re speaking with can understand where they might fit in. I’m not sure if you know about my business, but I help X kind of people do Y kind of thing (state your niche). I really admire what you do/am interested in what you do, and I would love to hear more about your business and tell you some more about mine, so that we can help each other, either by referring to one another, collaborating, or through other means we haven’t even discovered yet! Do you have few minutes to chat right now? If yes, great! If not, then set up another time. If it’s someone who you feel there is a lot of resonance and potential with, take the time for an in-person coffee date. Then . . . you get have a meaningful and useful conversation with this person about your work and their work, and how you might help one another . . . Speak clearly about your work . . . what exactly you do, who you serve, how you do it, and why you do it. Speak from your heart. You authenticity is even more important than the perfect words. Be curious and ask lots of questions about this person’s role in the community, so you can more fully understand how you can help one another. Give generously and genuinely trusting that people have something to offer you too. At the end, if it’s a potential referral partner, say something like, “I keep a list of people that I trust that I can refer people to. I’m going to add you to that list.” (And then of course, make a list of these people). This encourages them to think about you as a serious referral partner and do the same. Give yourself a deadline for finishing all 20 calls or meetings. I suggest one month or less. Doing it in a condensed period can generate a lot of energy and opportunities for your business in a short amount of time. True networking requires repeated connection with the people in your network over time so that you may deepen trust and relationships. After you have a conversation with someone, follow up with an email thanking them for their time, the deepening connection, and any future referrals to one another (or follow up on any other collaboration next steps that are needed). Clearly write: Here’s a link to my website in case you meet someone who could use my help. Add them to your email list. I don’t care if it has six people on it – create an email list (go to Mailchimp and get a free account). Your email list is the simplest way to stay in touch with your growing community, maintain your connections, and remind them that you exist (so they can send clients to you!). All you need is a short monthly newsletter with one or two valuable bits of information in it. It’s time to embrace meaningful networking as a foundation of a thriving business. In the end, the more we can all find ways to support one another, the more successful and impactful we will all be. If you’re interested in creating or growing your business through the lens of the Natural Business Cycle, please get in touch for a free 30-minute consultation to see if we’re a fit for individual coaching. Julie Wolk, Business Coach, CPCC, helps purpose-driven entrepreneurs (coaches, consultants, teachers, healers) who are excellent at their craft but struggling on the business side, get super clear on their vision, strategy, and action plan so they can make more money and a bigger impact. She developed the Natural Business Cycle, a unique and overwhelm-reducing business development model based on the natural world.